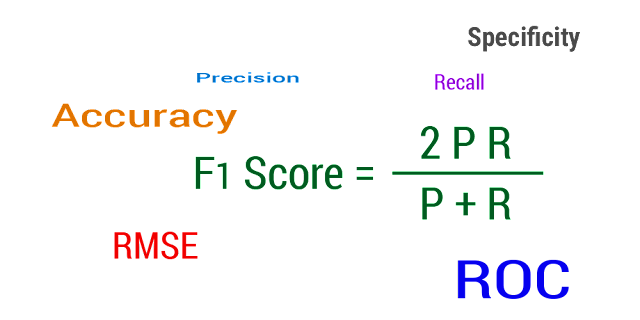 This is a follow up article on "The Importance of F1 Score" in which we understood the technical aspects of evaluating a Machine Learning model. In this article we will understand how different evaluation metrics can help us in designing solutions based on the problem statement and domain. In case of aircraft or ships, where a Machine Learning algorithm misses to detect a failure can be a costly affair, since there is life involved. Also in the case of detecting cancer, a failure to predict a true positive can lead to delay in treatment, and hence can be life threatening. In cases such as detecting failures in aircrafts, even if we get false positives is acceptable, but not able to detect true positives can be too expensive in terms of loss of life. Thus it becomes important to use Recall as a measure, as any positive detection becomes important, even if it turns out to be false positive. It is reasonable to waste resources on analyzing a false positive in such cases. In cases where the cost of responding to a false positive is too high, and where there are no lives involved, it is acceptable even if few failures are not detected. Take for example, a power plant is located in a village. Responding to a false positive from a sensor can be costly, as the transportation cost to check whether the fault has really occurred is too high. In such a scenario it becomes important to consider Precision as a measure. Thus the model should be trained for high precision, as the quality of the detection by the Machine Learning algorithm matters. In cases where we need to perform comparison between two or more models going with a single metric like Precision or Recall may not be right. In such cases it is advisable to consider the harmonic mean of both the metrics, and hence F1 score matters in such scenarios. The model with high F1 score should be considered, except when the first two criteria are involved. Understanding evaluation metrics can help you in deciding what model to choose, which metric matters for which domain. It will also help you to interact with your client and understand different Machine Learning algorithms better. Also it gives you the ability of understanding a problem statement well, thus helping you to implement the correct Machine Learning solution. Evaluation metrics should be the main area of focus while designing Machine Learning solutions.